This is favorite gel right now. It has a thick, jelly-like consistency. It's not drying at all and it doesn't flake on me. What I like best is that while it smooths my hair, I can still comb through it the next day; it doesn't make my hair hard or overly stiff. My only critique is that I wish it came in a bigger jar! This is the 3rd jar I've purchased. Disclaimer: I only use it for smoothing my hair into a bun or ponytail, I haven't used it for wash n go's. 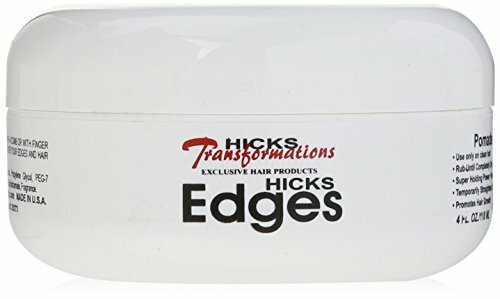 Next up: Hicks Edges: So I almost always find this hiding on the bottom row at Sally's. I don't believe that there is a full hair care line that Sally's carries for this brand, I've only seen this product. As far as edge smoother's go its pricey at a little over $15! I picked this up on a recommendation of a friend and let me tell you: IT WORKS!! It lays your edges without drying them out and without making them too stiff. It almost has the consistency of a pomade. If you want to try it wait until Sally's offers a 25% off coupon and check it out. If you hate it, return it! This is my second jar of Hicks. 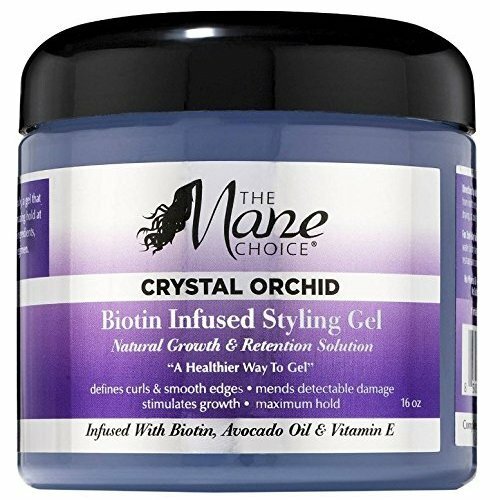 Alright: Now we have "The Mane Choice Crystal Orchid Biotin Infused Styling Gel." I like the amount of product you get in the jar and I like the consistency of the product which reminds me of aloe vera gel. This product is just ok for me and I think I'll save the rest of the gel until this summer because it was drying on my hair. I tried it to smooth my hair and it does smooth but my hair was SO DRY at the end of the day that I decided to place it to the side. So I will revisit in the summer when I wear my hair wet more often. Oyin Hair Dew. Ya'll: So I picked this up because you don't hear a ton about the brand and I know that sometimes when a brand is low-key that it might be a secret gem. I mean, I started buying Carol's Daughter when she was still making it in her home and back then those were some of THEE best oils and cremes you could buy! Oyin Hair Dew? MAJOR disappointment! I tried it so many ways: On damp hair, on damp hair followed by an oil, on dry hair followed by an oil...it just was NOT moisturizing AT ALL! The best way I can describe it is when you purchase a super cheap body lotion and put it on your hands only to find yourself just as ashy five minutes after you apply it. This was the hair equivalent for me. There was another product that I like from this line that I'll review on a different post but the hair dew will not be a recurring purchase for me. Next we have Silk Elements Pure Oils Hair Butter: By the time you read this post this product will be in a return bin at Sally's. This product comes with a seal over it so you can't see it or smell it before purchase. It has a gritty texture that would make this product an excellent body scrub but an awful moisturizer. I put some in my hands and rubbed them together and all of these crumbly white bits fell into my lap and the rest dissolved into an oil. My hair hated it and I had pieces of grit in my hair from where it wasn't rubbed together enough. This is way too much work to moisturize your hair. I won t repurchase. 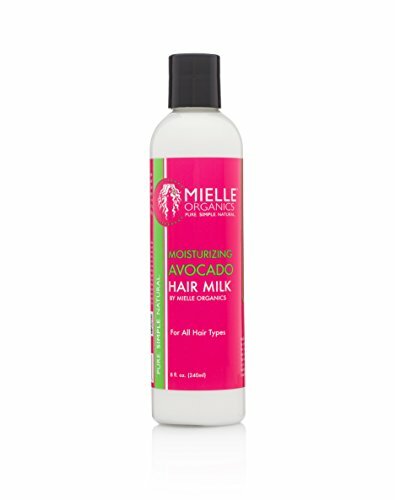 Up Next: Mielle Organics Moisturizing Avocado Hair Milk: Ya'll I LOVE this moisturizer! It's not too light and not too heavy and has a light coconut scent. It moisturizes my hair by itself and it works even better when I use an oil after it. I've used it on wet hair after I co-washed and I've used it on straight dry hair and that makes this one of my few all purpose hair products. I actually like a lot of products from this line but I believe that this is my 3rd bottle of hair milk. I recommend this one!! 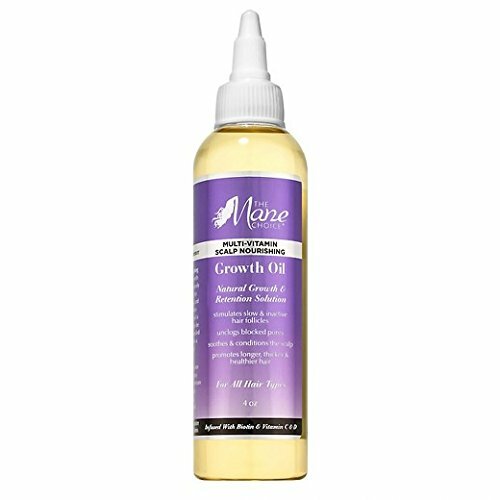 Last but certainly not least: The Mane Choice Growth Oil: So while the gel from this line is "just ok" this oil right here?! I LOVE IT! What's funny is that I bought this during a "buy 2 get 1 free" sale because I already had every other Mane Choice product. I have always used organic coconut, grape seed, or almond oil on my hair so I wasn't expecting much from this oil but I was pleasantly surprised! This oil is the perfect consistency: Not to light, not too heavy, and not too runny. 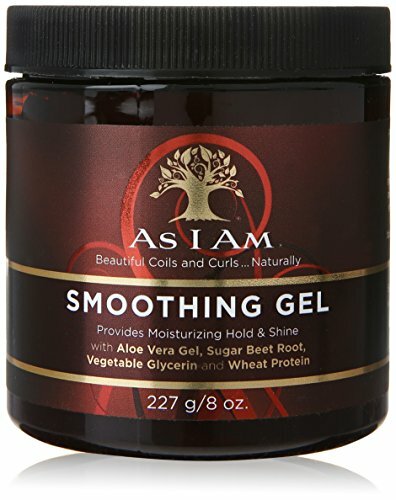 I have been using it on damp hair before I apply gel and also on the ends of my hair.I love the applicator nozzle and I can't wait to use it on my scalp the next time I get braids. I would recommend this oil for scalp and hair...This is definitely staying in the rotation and I will repurchase! So those are the 7 that I reviewed for this month but I've got MANY more to review! What are some products that you're wondering about? Leave me a comment below and I might pick them up for review!